Axis Fitness » 60+ and NOT resistance training? Living longer could be described as a double edged sword. Great opportunity to do and see all those things we ever wanted to do, but as our age increases, normally unless we are very lucky, so does the aches and pains and declining health! Continuing from our previous article about increasing strength and its benefits, consideration should be given to how increasing strength can impact on reducing age related illnesses. How many people of your age group have a regular trip to the doctor for another ache, pain and illness that’s developed since retirement, hoping that this time the prescription the doctor gave them will improve their health and well being? I am not advocating that increasing strength will cure illnesses, but it will assist significantly in overall mental and physical wellbeing. The American College of Sports Medicine released a study analyzing some 250 original research projects, the majority of which were completed in the last 5 years. The study director Dr. Robert S. Mazzeo, Professor of Exercise Physiology at University of Colorado in Boulder, said the work showed the aging process is more complex than once thought, involving complicated interaction of genetics, life style, disease and other factors. In one of two studies by Dr. Maria Fiatarone and Dr. William J. Evans with others at the Tufts University Research Centre, 9 women and men, aged 87 to 101, strengthened their arms and legs using resistance equipment. In eight weeks, they increased the strength in the front thigh muscles by an average of almost 175 percent ! Dr. Abraham Datch, a 101-year-old retired dentist, increased his strength by 200 percent over what it was at 95 years ! The second study by Dr. Evans and Dr. Miriam E. Nelson, divided 40 postmenopausal women, none of whom were on hormone replacement therapy, into two groups, One that lifted weights and one that did not. The group that did not lift, lost bone and muscle mass, but the other group increased its average strength to the equivalent of women 15 to 20 years younger! For each pound of muscle gained you burn an extra 50 calories! Increasing your strength will make you far less dependent upon others for assistance in daily living. Daily tasks will be easier, playing and looking after grandkids, groceries and laundry will no longer push you to the max. 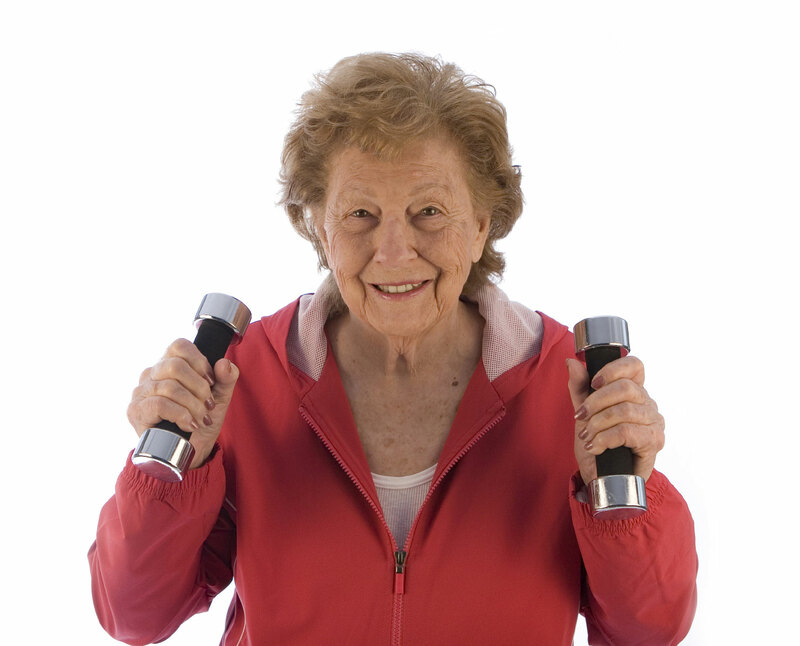 Osteoporosis a common debilating condition in older ladies normally resulting in bone loss, often having to take bisphosphonates, which is not a pleasant treatment regime can be improved with resistance training. Research has proven that resistance training can in 6 months increase your spinal bone density upto 13% with the correct diet, in some cases better results than drugs prescribed by your doctor ! Why not give us a ring, we can offer a free trial session and consultation introducing you to the gym and our resistance equipment, the same that is used in many hospitals and rehabilitation centres across America. Mornings at AXIS fitness is the time that retirees usually train, with age related music and others of a similar age in a pleasant friendly atmosphere, always with an experienced instructor on hand to assist and answer your questions. Free training and workout routines are included in the membership. Give us a try, the only thing you could lose is fat, lack of strength and fatigue, not to mention the loss of may ailments! Some of the instructors are nearer 60 years old than 40 years old, they understand your needs and the benefits for men and women. If you live longer do you want to live longer healthier, fitter and with a better physique than you had 20 years ago?